Whether you’re a minimalist or a monk you probably already know the wonders that simplicity can bring to a persons life. Simplicity is just as crucial in business as it allows your customers to quickly and easily shop, and if done right, it will set you apart from your competitors. As marketers, it’s important for us to use this tool to bring information to consumers. It may sometimes feel counteractive, but putting less in our ads may actually help us make quicker sales and longer lasting connections with our consumers. 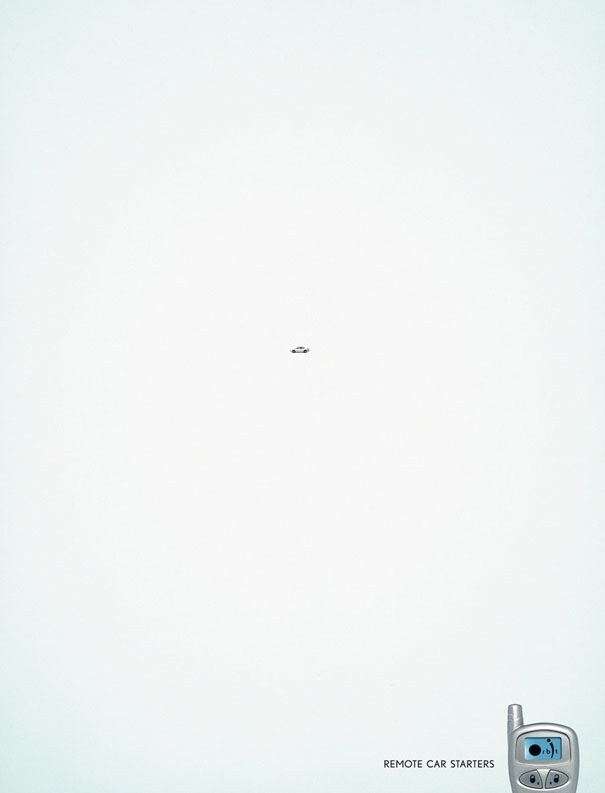 Below are a variety of companies that took the minimalist movement to the extreme in their advertisements and ended up a success because of it. 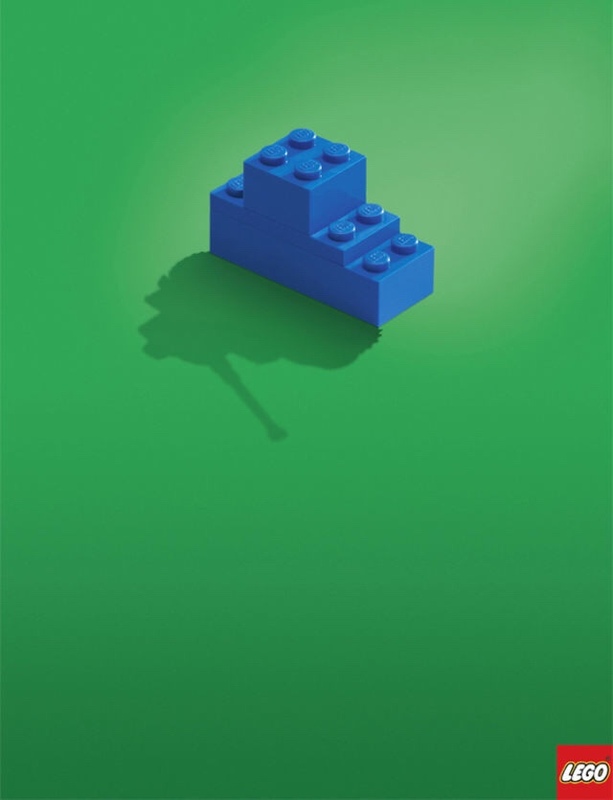 Lego’s use of a child’s imagination in this ad makes it one of the best examples of simplicity in advertising. The connection between the LEGO piece and tank is easily recognizable to consumers of any age a promotes a somewhat playful and imaginative energy, which is a huge component of the Lego brand. 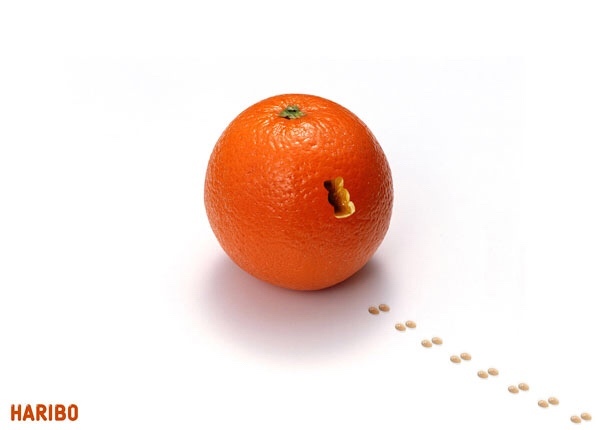 In this ad you see an orange with the distinct gummy bear shape cut out and a trail of gummy footprints leading out of the frame. It then becomes clear that Haribo is trying to convey the fact that their gummy bears are made from real fruit. Haribo used simplicity to tell a story in a fun and compelling way that adults and most kids could understand. 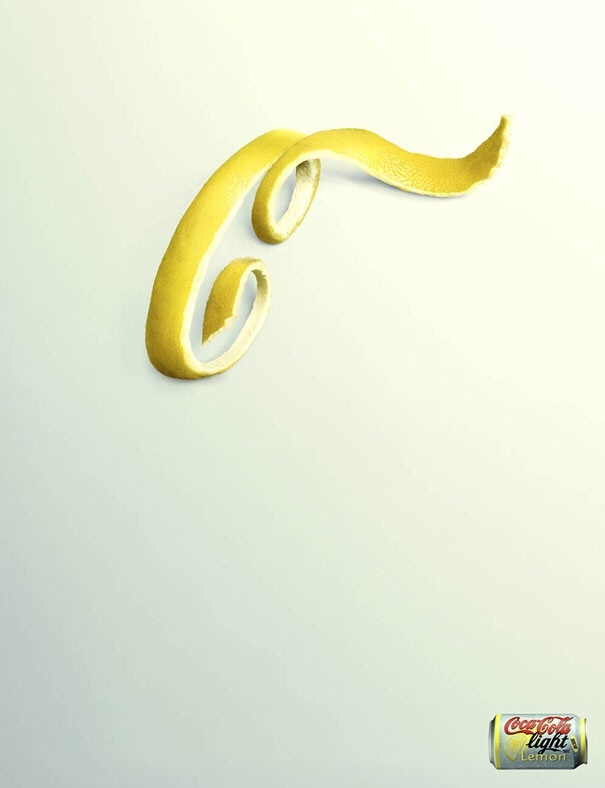 In this ad, Coca Cola transformed a lemon peel into their iconic C shape to promote their new light lemon coke. Their ad does two simple things: it brings recognition to their brand and promotes a new product. At first glance, it seems like something is wrong with this ad. However, the use of simplicity in this ad brings forth a clear message for their brand: Orbit’s remote car starters can work from a distance. Using only one piece of imagery, National University Hospital was able to promote a deeply personal and compelling call to action: Your blood donation could potentially save some else’s life. 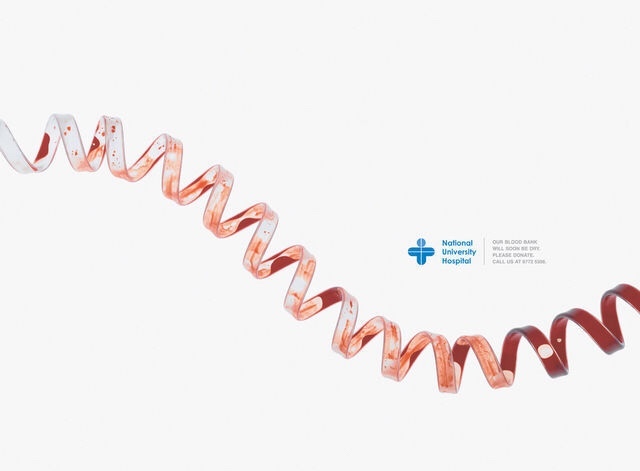 The graphic nature and straightforward imagery used in this ad catches your attention at first glance and does a great job at promoting the call to action. 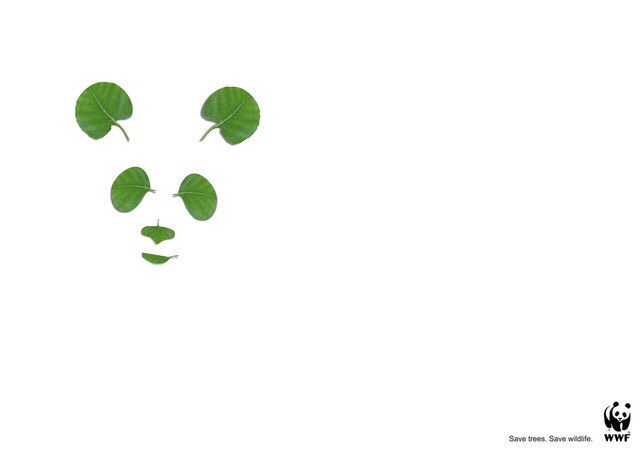 With its use of simple imagery, The World Wildlife Fund quickly brings your attention to two main causes: saving trees and wildlife. What are the first two things you notice in this ad? 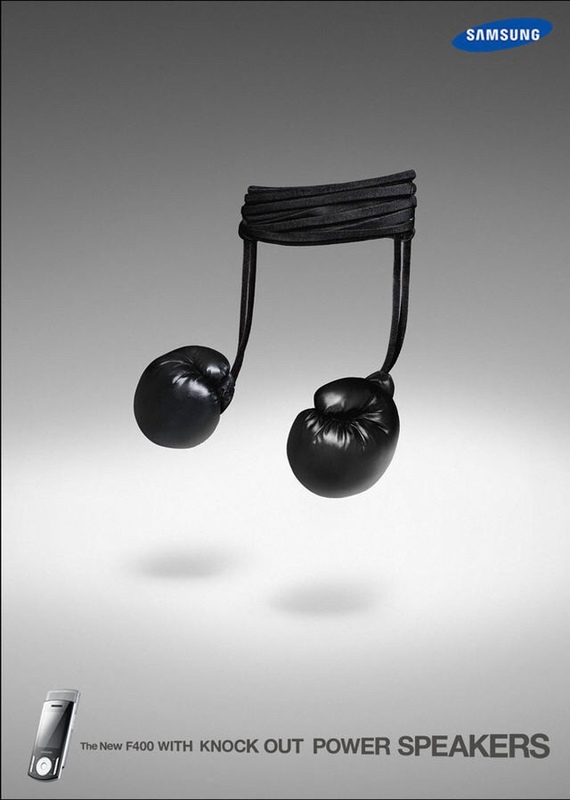 Samsung’s use of boxing gloves and a music note promote their new phone with “knock out power speakers”. They also kept in line with the product’s colors to promote it in a unique and memorable way. 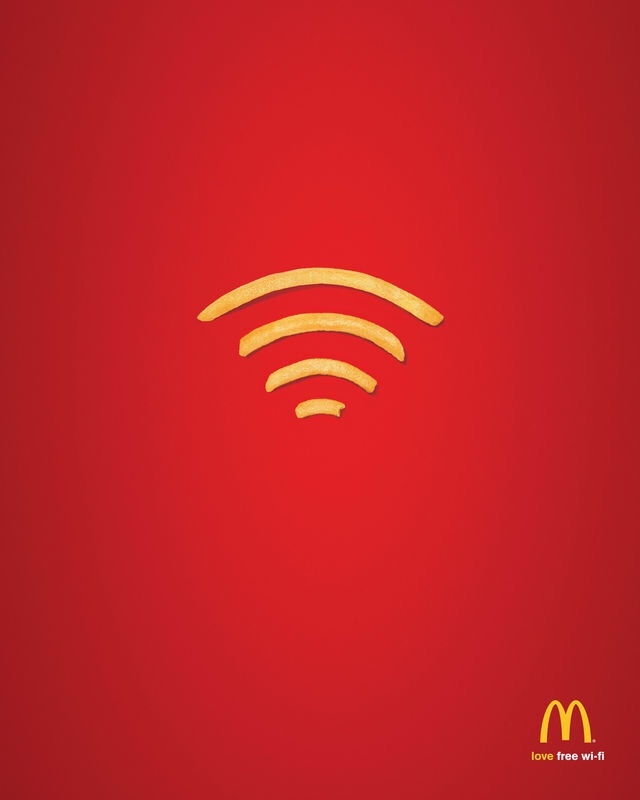 By staying true to brand colors and keeping it simple, McDonald’s did a great job at promoting their new free WiFi. So what makes all of these ads simple, yet very effective? They stay true to their brand. All of the ads contain the company or product colors. This is an easy way for them to not only promote their product, but also remain relevant. They also want to grab your attention with as few words as possible so the tone of voice in ads like these are either very emotional or very light. They contain the company’s logo. This is a tried and true trick to keep customers with your company. They recognize your brand and immediately have a reason to purchase this new product. They are crafted with care. While it seems like they took two minutes to put it all together, most ads are packed with deeper meaning and larger messages. Every aspect is carefully thought out to bring the most out of the ad. If you spent a couple more minutes looking at each ad you could probably put together a lengthy list of themes and topics it could be promoting. This is the magic of branding too, however, and that’s an entire lesson in itself. Creating an effective ad is not an exact science. But by keeping basic branding techniques like simplicity in mind, your company is sure to succeed. Simplicity helps you quickly figure out what your audience loves and hates. It also helps your business run smoother and your ads work smarter, not harder, to get the sale. In the wise words of Don Draper: “make it simple, but significant”. For more information on this topic, check out Ted Bauer’s article about the advantages of simplicity in business.